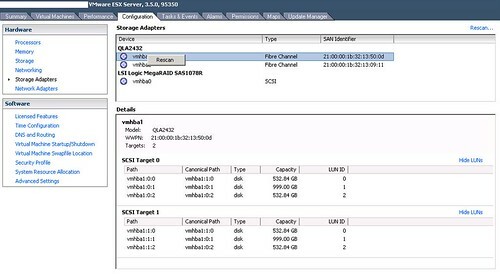 From this point we assume that SAN Fabric Zoning has been completed and the host can now be assigned to the SAN Storage Group applicable to the VI Cluster. 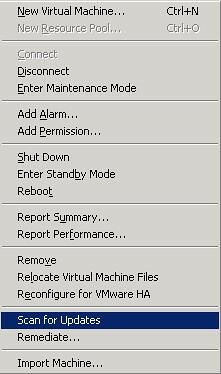 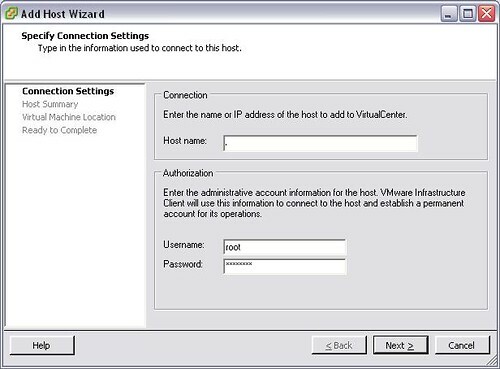 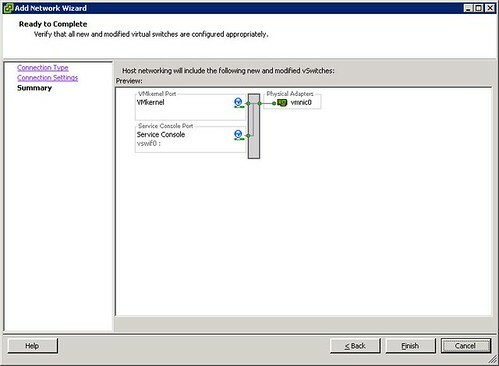 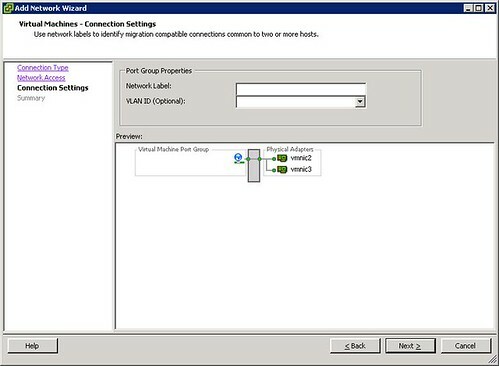 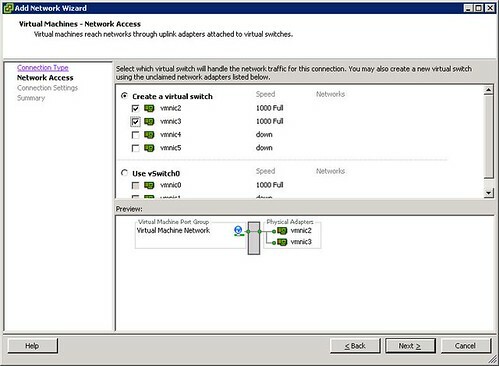 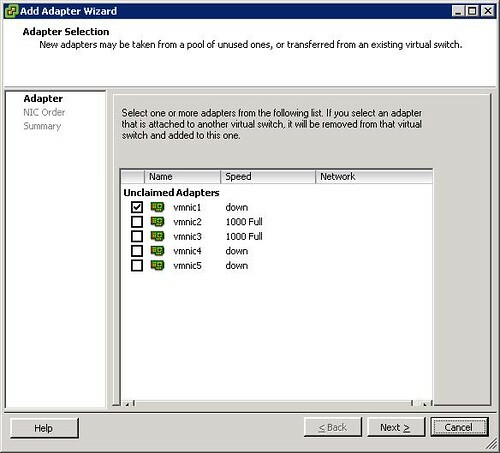 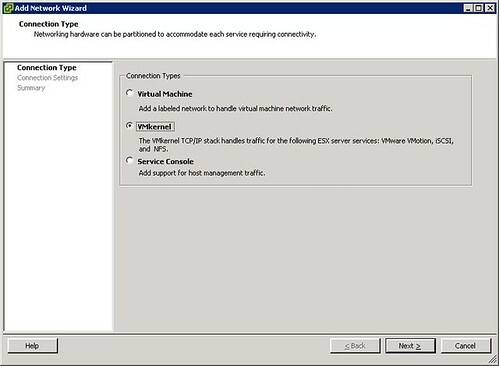 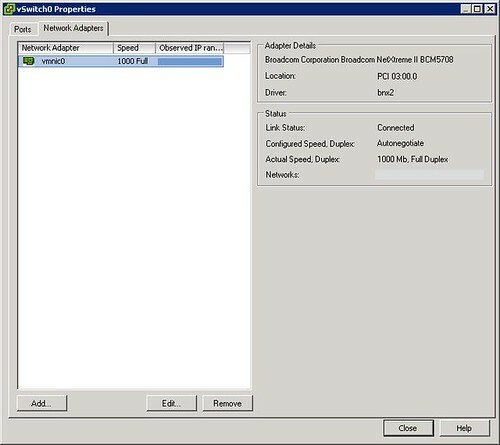 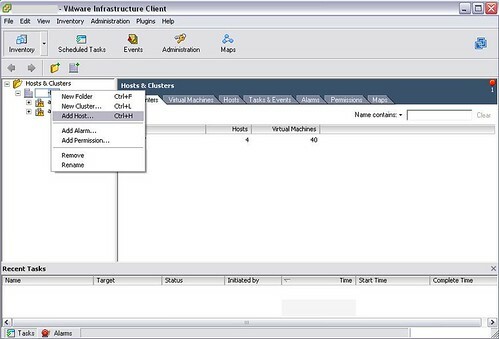 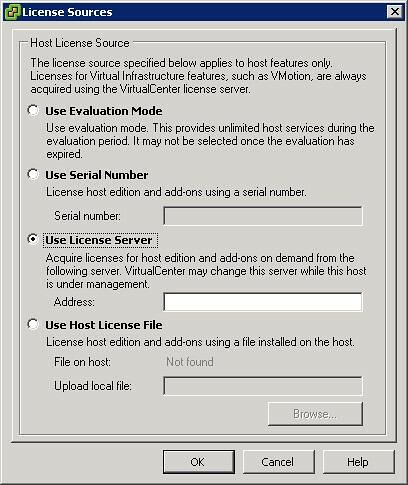 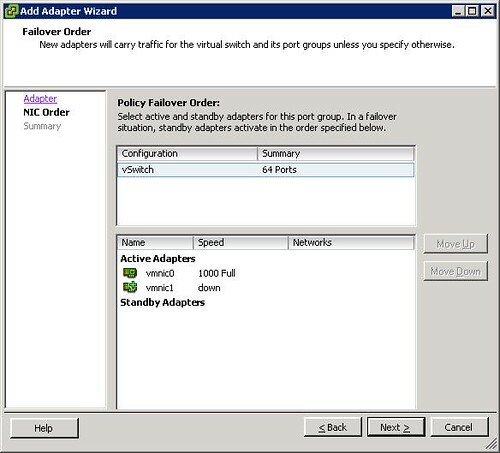 This will allow it to access all necessary shared VMFS storage locations. 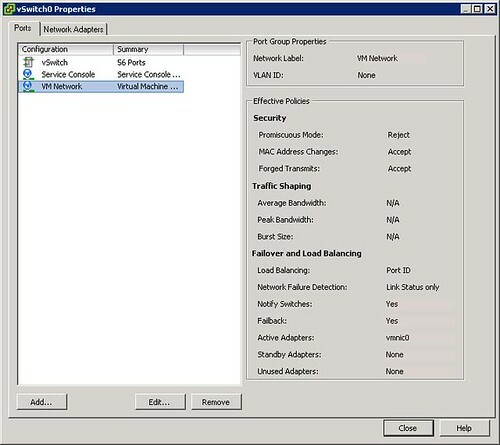 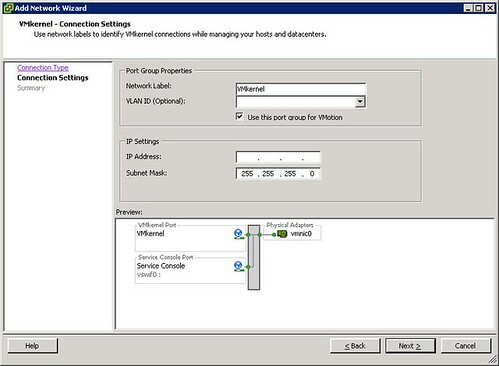 Assign the necessary IP address and subnet mask to the switch, this must be different to the host address, and should be the next numerical above the host address. 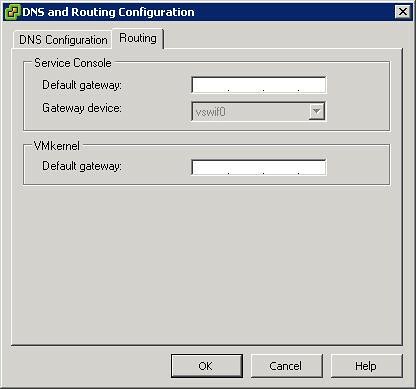 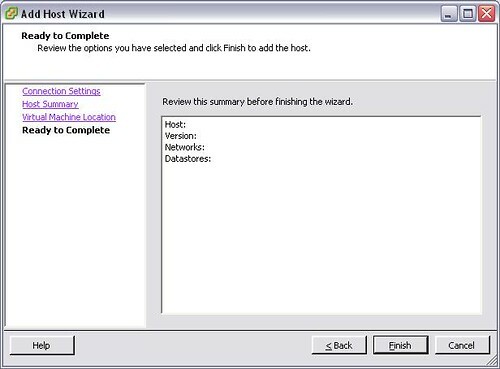 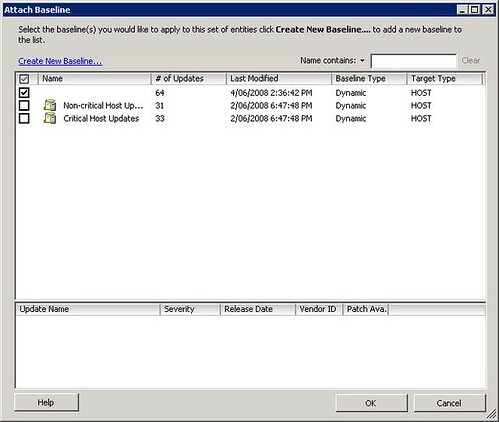 A prompt will appear notifying you that there is no Default Gateway set.